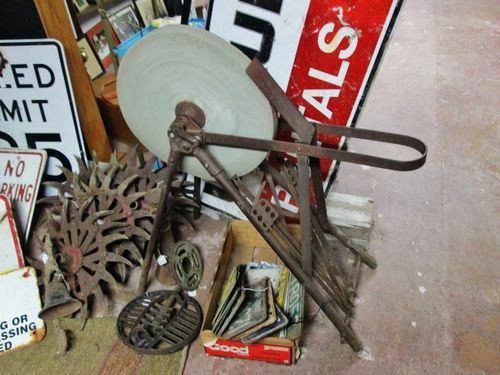 Just got a nice grinding wheel that I’m looking to build a frame and treadle for. I need to mount the axle. I can’t find what I’m looking for online because I don’t know the name. It looks like a bearing that splits in two and screws down on the mount. I heard the term Babbitt bearing, but nothing close to a replacement comes up online thoughts? A few blocks from my house…. Split Bushings maybe. But I agree with Loren, make some from hardwood, an oil tropical wood would be best but hard maple will work too. Pillow Block bearings are not cheap units and typically designed for heavy duty applications. Suggest the reason a babbit bearing was suggested is due cost .vs. simple low speed application. 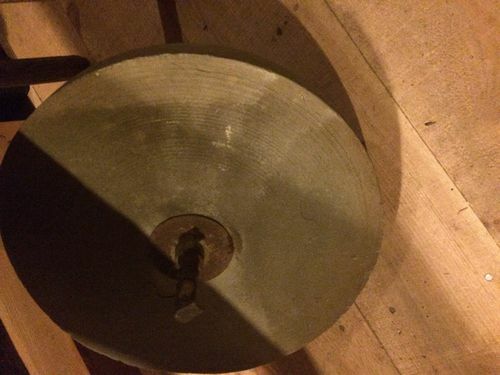 For a hand/foot powered grinding wheel a simple bronze/lead bushing would last many years. Modern equivalent for babbit bearing today is oil impregnated bronze bearing. I like to use MSCDIRECT for this kind of stuff, but McMaster or Grainger carry them as well. Brass and oil impregnated bronze stock is super easy to machine. You can also buy plain bar stock to make any custom size bearings you need and then simple press them inside a wood/metal housing. Thanks guys! Split Pillow Block is what I was looking for, but I ended up using hard maple and so far so good. We’ll see how long it lasts. I poured some babbitt on an old Hit & Miss motor years ago. if you have the bearing blocks, there not much to it. there are probably YouTube videos on how to mold and pour babbitt bearings. 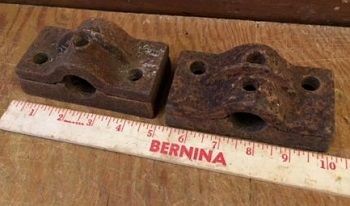 there is a pair of vintage Line Shaft Pillow Block Babbitt Bearings for $10.00 on E-Bay.